Made of stainless steel, creative and excellent design,durable and exquisite. 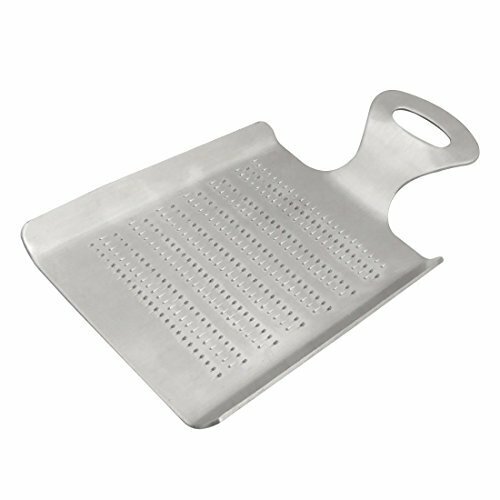 Ideal for grating ginger, garlic, nuts, and more. The grated material is not pressed through holes in the face, but remains on the surface of the grater. After use, you should simply brush the face,rinse and dry. Easy to use, clean, and store.